It is that time of year again. Time to start the Back to School planning! 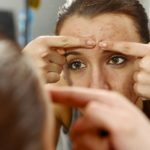 For many people, particularly teenagers and young adults heading back to high school, college or university, it can be a very stressful time, especially if they have a breakout in acne and blemishes. Therefore, NOW is the time to take preventative steps to have a glowing complexion on the first day of school. A Good Skincare Regime – Although the above acne treatment options are great, we highly recommend following a proper skincare regime to reduce whiteheads and blackheads, maintain a clear and more unified skin tone, and decrease the frequency and severity of acne breakouts. Using a cleanser and toner that deep cleans pores and removes surface impurities such as dirt, oil and bacteria will help prevent new acne pimples. Laser Treatments – A significant number of people who suffer from acne end up with visible acne scarring, which can be just as stressful as acne itself. 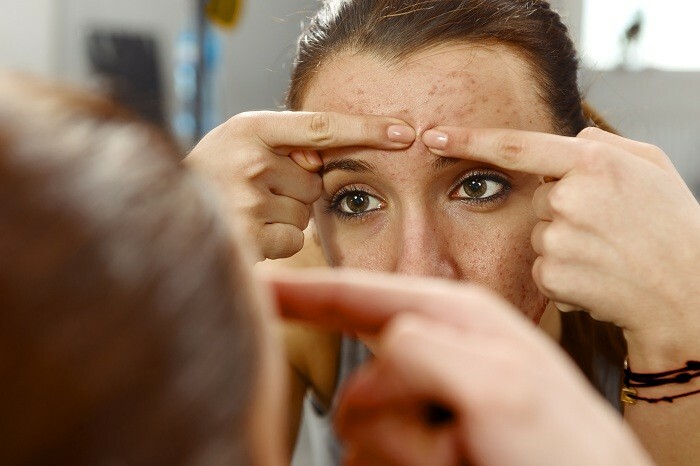 Acne scars can vary from being small and barely noticeable to large and prominent. Discolouration is also quite common, often highlighting the problem. Laser treatments can be used to dramatically reduce the appearance of these scars. 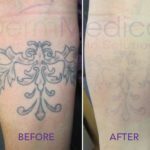 Treatments are comfortable and can leave the skin smooth, even-toned and, of course, much improved. Most patients will require more than one laser treatment or a combination of laser treatments for optimal results. Chemical Peels – Chemical Peels have been used for many years in medical cosmetology. They work by chemically removing the outermost layer of the skin to give a healthier appearance – decreasing acne breakouts, reducing the appearance of acne scars and shrinking the size of pores. Chemical Peels can be used as a stand-alone acne treatment or in combination with other procedures. Light Therapy – Blue-light acne treatment is a non-invasive procedure that uses light to kill the Propionobacterium acnes, or P-acnes bacteria, in the skin that causes acne. The procedure simply involves a patient sitting in front of a blue light lamp for 15-30 minutes weekly. Studies have shown that blue light acne treatment appears to improve acne vulgaris with a reduction in inflammation and the number of pustules and papules. Blue-light treatments help get control of acne, but a complete acne care system helps to maintain that control. Steroid injections – Oftentimes injections are used to treat the types of acne that cause painful lumps beneath the surface of the skin (nodules and cysts). This cystic acne can take months to heal on their own. After steroid injections, the lumps flatten, and the skin can clear up in a few days. Steroid injections are typically used as a temporary or occasional fix for stubborn cysts and nodules. If you have acne, it is best not to wait for the problem to disappear by itself. Early treatment may offer great results in the short term and prevent complications later on. Patients who chose to ignore their acne and let it resolve on its own regretted not dealing with it sooner. Don’t be one of them!